For those searching for a moving service company – look no further. MovingCompanies411.com's new web layout spells out the process with ease. In less than five minutes, customers can fill out a form to receive no cost moving quotes that will help make any move as simple as possible. MovingCompanies411.com has been busy lately designing new layouts and creating new content for their webpage. Today, they are introducing a new layout to their moving services page that will make finding affordable moving services easier than ever before. The purpose of the new website design is attributed to MovingCompanies411.com’s rapid growth. As their customer base has expanded, they saw a need for improving their layout and making the process of finding moving services quick and easy. When customers are on the moving services landing page, by scrolling to the bottom of the page and then clicking on the blue button, they will instantly be able to fill out a form to get matched with moving services near them. MovingCompanies411.com lists numerous helpful tips under the “General Information” section of their Moving Services page. Here, customers will find all of the answers to their moving questions. For example, MovingCompanies411.com suggests that before settling on one moving service, customers should receive at least three quotes. This way, they will be able to compare rates and determine which moving service provider is the right one for them. “We are constantly trying to figure out how to keep up to speed on current trends in the marketplace. As a leading moving company, we want to always be one step ahead of the game. We think our new page design will improve our customer’s experience by making the process easier and faster than before,” stated a spokesperson for the company. 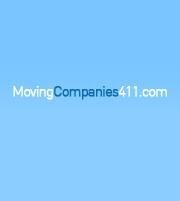 MovingCompanies411.com handles all things moving. Whether someone has a car to transport or a one bedroom apartment, their expert services will match them with an affordable quote that is just right for the customer. With helpful tips and great storage solutions, http://www.MovingCompanies411.com makes the experience of moving hassle-free.